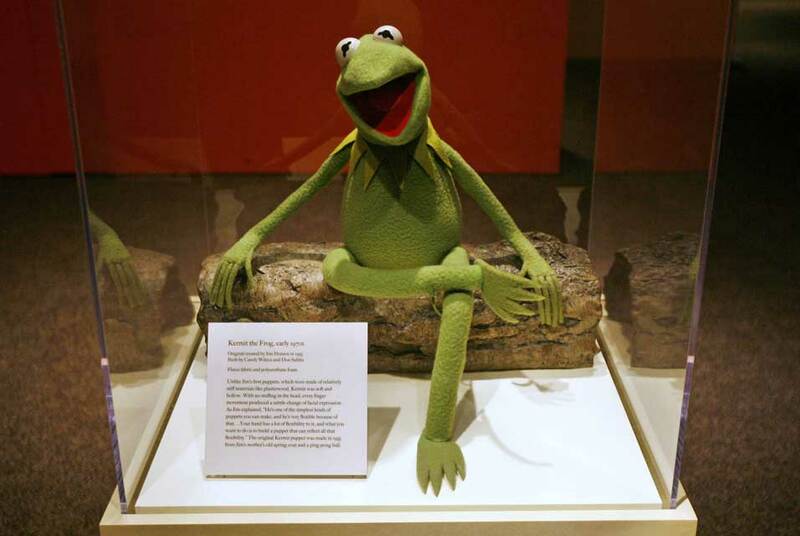 Kermit the Frog is seen at the Smithsonian Institution in Washington. "The Muppet Movie", the film from 1979 where Kermit appeared, is one of 25 films to be inducted Wednesday for preservation in the 2009 National Film Registry. AP Photo/Jacquelyn Martin. WASHINGTON, DC (AP).- Michael Jackson's "Thriller" video, with that unforgettable graveyard dance, will rest among the nation's treasures in the world's largest archive of film, TV and sound recordings. Joining the King of Pop in the 2009 class will be the Muppets from 1979's "The Muppet Movie"  the first time on the big screen for Kermit the Frog and Miss Piggy  and the 1957 sci-fi classic "The Incredible Shrinking Man," among other titles. Berlin Art Projects Presents Megan Olson "Beyond the Chains of Illusion"